The CDJ-900 and 2000 players arrived with much hoopla, and like the original CDJ-1000 before them, have become firm favourites for DJs. But after the revolution comes evolution, and the CDJ-900NXS gets a healthy injection of new goodies that for me makes the buying decision between a CDJ-900 and CDJ-2000 even harder. 19th November 2013: The evolution of Pioneer’s professional NXS line-up continues, with the addition of the CDJ-900NXS digital player. 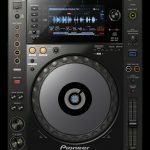 The latest player builds on the success of its predecessor, the CDJ-900, plus it’s packed with new technology including a full colour LCD screen, Beat Divide, four-deck Beat Sync and the ability to play sets from a smartphone. The CDJ-900NXS comes with Pioneer rekordbox™ music management software for PC/Mac and a free download of the rekordbox app for smartphones and tablets. DJs can then prepare amazing sets and playlists on any device, and load them onto the CDJ-900NXS via USB or Wi-Fi[i] – so their music library is on hand wherever they are. The Pro DJ Link enables DJs to share one source with up to four decks via LAN cable. The CDJ-900NXS boasts Pioneer’s a high resolution screen, giving DJs a quick and instant view of the Wave Display and Wave Zoom and the ability to view and edit rekordbox beatgrids. Like the top-flight CDJ-2000NXS, the CDJ-900NXS features even more intuitive browsing with the option to see tracks in list, artwork and custom views. Plus mixing tools such as Beat Countdown and Phase Meter can be pre-set in rekordbox for easy viewing during performance. The old Auto Beat Loop function has been replaced with Beat Divide and Slip Loop: two new functions that make it easier to drastically alter the rhythm and add micro edits, knowing the breakdowns and drops will come when expected. With Beat Divide, DJs can use the familiar beat buttons to divide each beat by the timing selected and roll the first chunk around in a loop to give a staccato effect that changes with each beat and bar of the track. Engaging Slip Mode transforms the same controls to command a Slip Loop effect, for even more creative expression. This is all in addition to loop functions inherited from the CDJ-2000NXS: Loop, Loop Cutter, Loop Edit and Active Loop. Other features inherited from the CDJ-2000NXS include a four-deck Beat Sync, to automatically sync the BPM of tracks to the master deck, and a dedicated Quantize button, for instant access to Quantized loops, cues and effects. Add to that Active Loop, My Settings, harmonic Key Analysis Indicator, and the stylish, robust build expected of Pioneer pro-DJ products, and the CDJ-900NXS is a performance force of nature. The CDJ-900NXS will be available from December 2013, at an SRP of EUR 1,399/GBP 1,149, including VAT. The CDJ-900NXS has a large screen, which displays a host of track information and features inherited from the CDJ-2000NXS. Improved browsing: DJs can choose how they view tracks – list, artwork or custom view – and scroll through using the large rotary dial. Wave Zoom: in addition to Wave Display, Wave Zoom enables even more precision on loops and cues. Beat Countdown: DJs can use rekordbox to mark key points on a track, and the CDJ-900NXS counts down to them from up to 64 bars away. Phase Meter: shows the position of the beat in the bar, enabling DJs to compare the phase of each player with the master deck at a glance. Key Analysis Indicator: a traffic light system in the browser shows which rekordbox tracks are in a compatible musical key with the master deck for harmonised mixes every time. 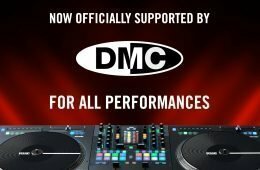 The CDJ-900NXS retains all the CDJ-900’s most popular features plus exciting additions from the CDJ-2000NXS, to breathe new life into performance. Beat Divide: instantly slices up each beat to a pre-set timing and loops it in a staccato effect until the DJ stops toggling – all while playing the track in real time. Improved Quantize: a dedicated ON/OFF button puts Quantized loops and cues at DJs’ fingertips. Beat Sync: looks at the rekordbox beatgrids of music, on up to four connected players, and snaps them to the beat of the master deck. Active Loop: DJs can use rekordbox to set an Active Loop at the end of tracks to ensure they’re never caught unprepared again. The CDJ-900NXS comes with rekordbox music management software in the box, with its indispensible features such as BPM, Harmonic Key and beatgrid analysis, Hot Cues, loops and Quantize. DJs can also download the rekordbox app, for free, to access all the software’s features and store essential playlists on their smartphones and tablets. The player is Wi-Fi compatible, so – in addition to USB – DJs can connect wirelessly from their laptop, PC, smartphones and tablets when the player is hard wired to a wireless router. DJs can access their personal preferences on any CDJ-900NXS thanks to My Settings. The player automatically detects 17 predefined rekordbox settings that are saved with your USB, PC or Smartphone Library – including Quantize, Vinyl Mode and Sync ON/OFF – for a customised DJ booth in seconds. The CDJ-900NXS boasts professional quality audio circuitry and an onboard 24-bit sound card, for a clear, powerful sound even at club volumes. A precision engineered Wolfson DAC reduces jitter, while the player’s signal-to-noise ratio of 115 dB ensures incredibly accurate sound reproduction. In addition to smartphones, tablets, laptops and PCs, music files can be played from USB storage devices, audio CDs and CD-R/RW. The CDJ-900NXS supports MP3, AAC, WAV and AIFF file formats. 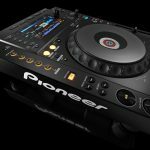 What’s new with the CDJ-900NXS? Obviously, there’s a new screen, and it looks to be the one out of the 2000 that the 900 users hankered so much for but couldn’t quite stretch to. So instead of the blocky old school screen, you can now get the full rekordbox info that really is the raison d’être for the Nexus range. But it really is rekordbox that forces the changes throughout everything in this update. Bar the screen, physically there isn’t a lot of difference between the CDJ-900 and the new NXS model, but the changes really do reflect the rekordbox workflow. While you can just rock up and use a rekordbox enabled setup, the real success comes from pushing your library through the software to have all the waveforms and beat grids ready. While you can work entirely from laptop, rekordbox also runs on iOS and Android (including via wifi), meaning that your tablet or phone can be your library. The further joy of this is that up to 4 Nexus devices can share one rekordbox source, and on top of that, DJ switchover is easy via a LAN connection and rekordbox. This is a much smarter way than the somewhat more awkward switchover between DVS users. Continuing the rekordbox reliance, the CDJ-900NXS can now beat sync between 4 connected players. As shown in the video, linked players can operate from a master sync signal, so that when the pitch is moved on the master, the other decks follow. And using quantise ensures that even if the beat grids are a little off, everything stays in time. The Nexus workflow isn’t so much a sync button, as it is an entire sync machine. The whole looping feature has been overhauled to work smarter. Beat divide for example now loop rolls by the amount on the button on the 4 to the floor beat structure, whereas slip loop is a momentary effect. And working with regular loops looks to be a little smarter as well. It’s also MIDI, but that seems to have been thrown into the PR as an afterthought. I’m looking forward to seeing what this can do when paired with the recently announced DJM-900SRT mixer. Separate brake and start adjustment pots. The biggie there is hot cues, something that many cannot live without. 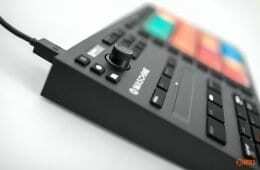 And if you use a strict non-MIDI controller rekordbox workflow, they’re pretty essential. The rest I feel is detail that the power user cares about, but most can do without. 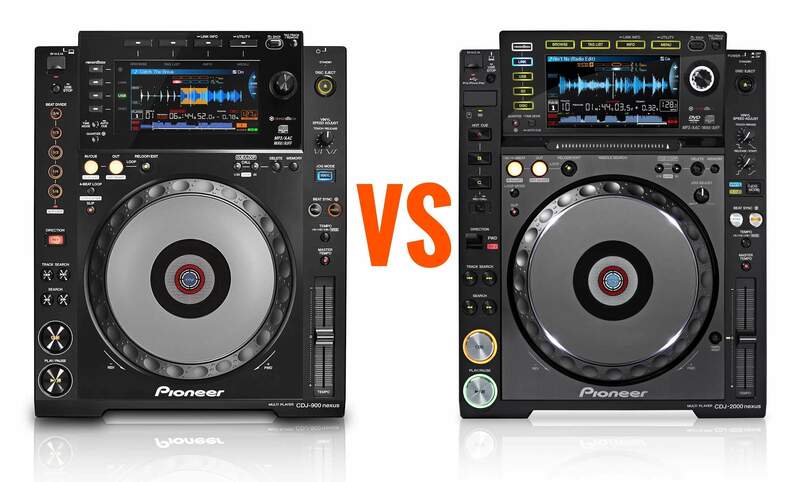 I do still find myself perplexed at the logic employed that an upgrade to a CDJ-2000 actually loses features, and also that a £1150 deck doesn’t have hot cues, when even the cheapest of the cheap media players and controller have hot cues. Am I alone in wanting a CDJ-2000mk2 that has it all? The Pioneer CDJ-900NXS is hot, and is likely to turn a few heads away from CDJ-2000NXS purchases to get the very cool looping features, but at the expense of hot cues. 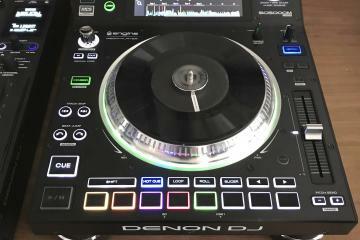 But for potential CDJ-900 buyers, Christmas just came early. It’s in shops in December (not really a stocking filler though) and costs £1150/€1399/$1399.